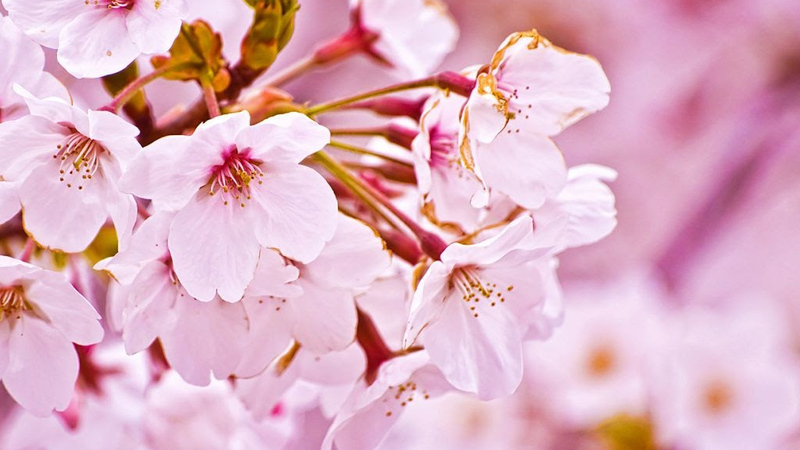 When the Sakura (cherry trees) bloom, in Japan it means that the season of spring is here. Gone is the cold days of winter, the snow and the cold rain. We celebrate the new season this bento, by looking at spring season more closely; we talk about the Sakura trees, what Hanami is and share a seasonal bamboo shoot recipe. We also look at the news of the past month and listen to a super sugoi AMV. We are YOUR monthly anime news source. Itadakimasu!! This past month a lot of anime came to its conclusion, and we also had a lot of great episodes. In Grancrest Senki episode 9, while Sir Teo and Siluca the mage camped out in the rain they finally declared their love for each other. But in a war-torn world where lives change by either sword or palace politics, will that love survive? The series is far from over and we will have to endure with our heroes and wait and see. A second season of the Ace Attorney (Gyakuten Saiban) anime series has been announced on the anime’s official website. The second season will be titled Gyakuten Saiban ~ Sono “Shinjitsu,” Igiari! ~ Season 2 (Ace Attorney ~To That “Truth,” Objection! ~ Season 2). Ace Attorney (Gyakuten Saiban) is a series of visual novel adventure games. 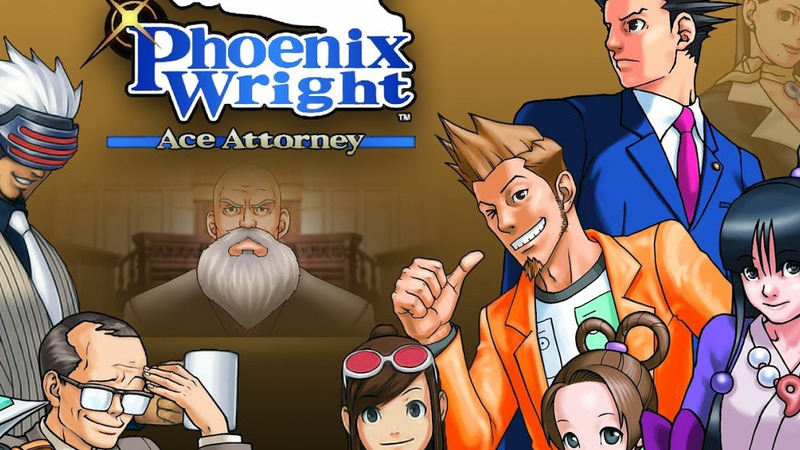 The game involves players playing as defense attorney Phoenix Wright. Each game consists of two segments, trial and investigation, where players will have to try and examine all the clues, witnesses and come up with a conclusion. 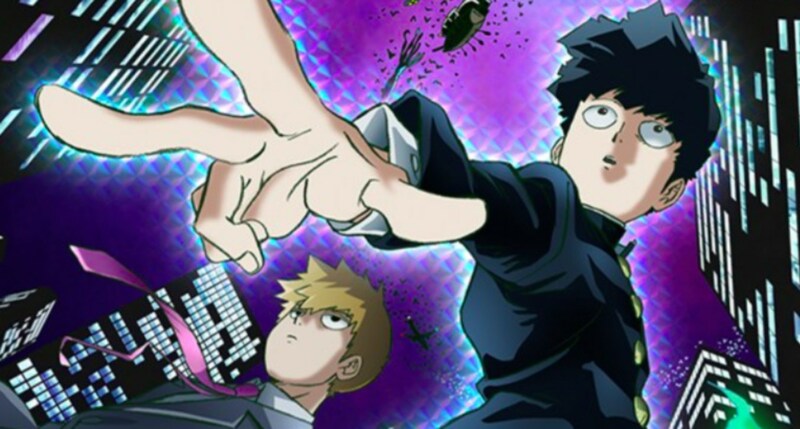 The first 24-episode anime series, premiered in April 2016 and covered the first two games in the series. The original game director, Shu Takumi, is collaborating on the anime, and A-1 Pictures will be handling it’s anime production again. Ayamu Watanabe (Mysterious Girlfriend X) is returning to the director seat once again with other staff also returning such as series writer Atsuhiro Tomioka (Inazuma Eleven), composer Kaoru Wada (D.Gray-man), and character designer and chief animation director Keiko Ōta (Hyakko). Yukiko Imai is serving as assistant director. The cast is also returning to the project which includes Yuuki Kaji (Attack On Titan), Aoi Yūki (Puella Magi Madoka Magica), Masashi Tamaki (Rage of Bahamut: Virgin Soul), Chie Nakamura (Naruto), Masami Iwasaki (Axis Powers: Hetalia) and Tooru Nara (Cardfight!! Vanguard). 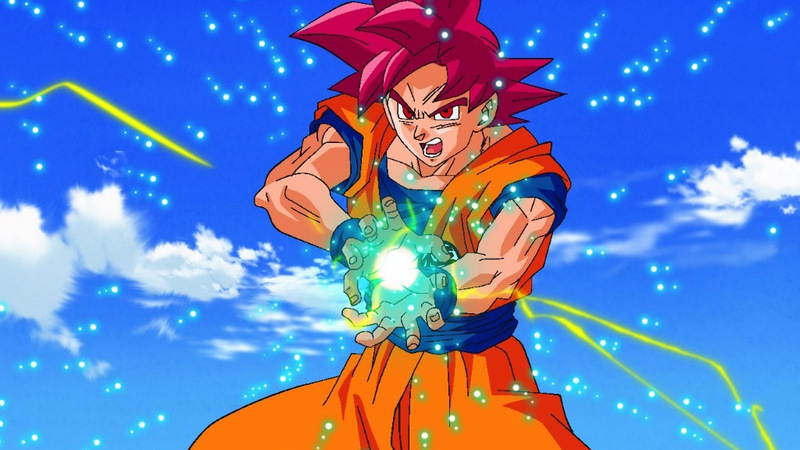 Dragon Ball Super ended with episode 131, with a promise of an upcoming movie. The episode ended with a bang and without giving away too much spoilers, we found out at the end what the winner wish for. We all will feel an empty gap in our weekly anime watching now that the series ended, and we are not alone. 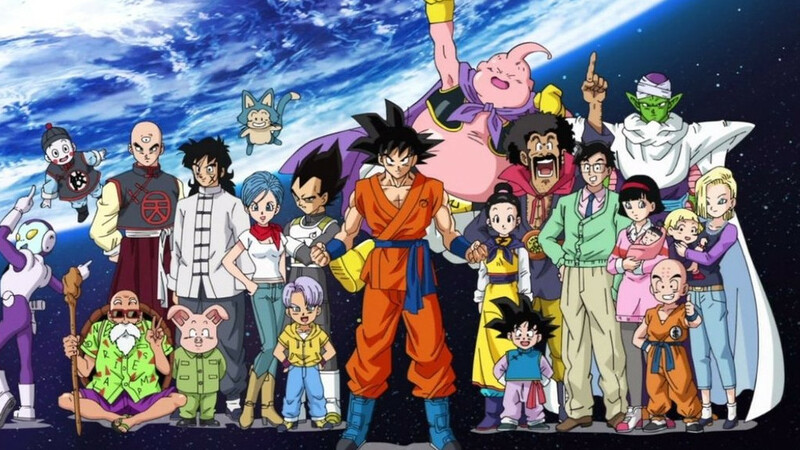 Masako Nozawa, the enigmatic 80-year-old veteran voice actress, better known as the Japanese voice of Goku had her say in the matter: “We finished recording the last Dragon Ball Super and… even now I’m filled with emotion. For now, the TV anime is taking a short break, and there’s also a movie coming this December. My hope is that the TV (series) begins again while those memories still linger.” We hope so too, ma’am! A trailer for the upcoming 20th Dragon Ball movie were released by Bandai Namco Entertainment America and according to the movie’s producer, Norihiro Hyashida, they aim for a global release of the movie on December 14th. Masako Nozawa is going to voice act as Goku in the upcoming movie again. 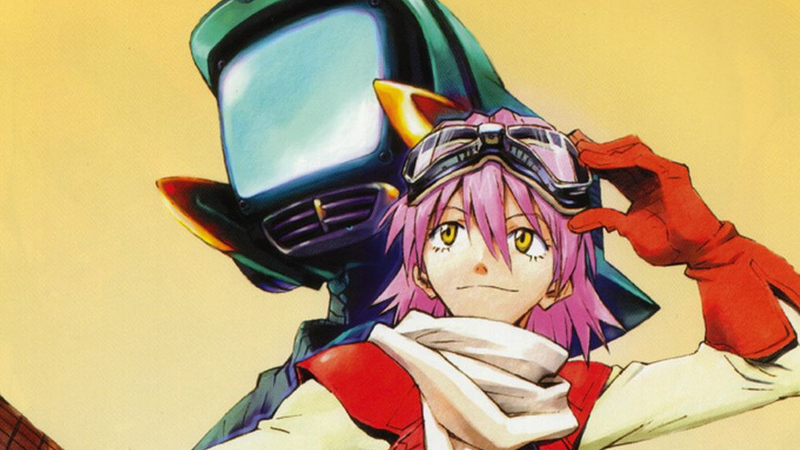 FLCL (FOOLY KOOLY) fanatiks will be happy to know that Adult Swim announced that FLCL will premiere its second season, FLCL Progressive in June and its third season, FLCL Alternative in September. Both will be six episodes long. Already a promotional video previewing Kari Wahlren’s return as Haruko were released to tease FLCL fanatiks. FLCL Progressive (FLCL 2) Staff includes chief director Katsuyuki Motohiro, supervisor Kazuya Tsurumaki, script Hideto Iwai, original character design Yoshiyuki Sadamoto, character design Chikashi Kubota and mechanical design Kiyotaka Oshiyama. FLCL Alternative (FLCL 3) Staff includes chief director Katsuyuki Motohiro, supervisor Kazuya Tsurumaki, script Hideto Iwai, original character design Yoshiyuki Sadamoto, character design Yūichi Takahashi and mechanical design Kiyotaka Oshiyama. 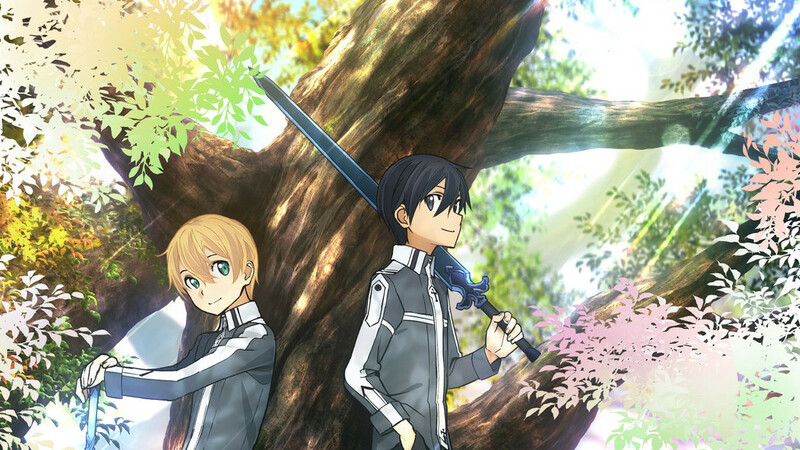 Kirito’s fans will be happy to know that the third series, Sword Art Online: Alicization is set to premiere in October this year. It is based on Reki Kawahara’s light novel series’ forth arc which ran from its 9th to 18th volumes. That whole “Alicization Arc.” will be covered in the new series. Manabu Ono (The Irregular at Magic High School) will be directing the anime instead of Tomohiko Ito that directed the first two seasons. The main voice cast includes Yoshitsugu Matsuoka, Haruka Tomatsu, Ai Kayano and Nobunaga Shimazaki. Spring is one of the most popular and beautiful seasons in Japan and even has its own vocabulary. 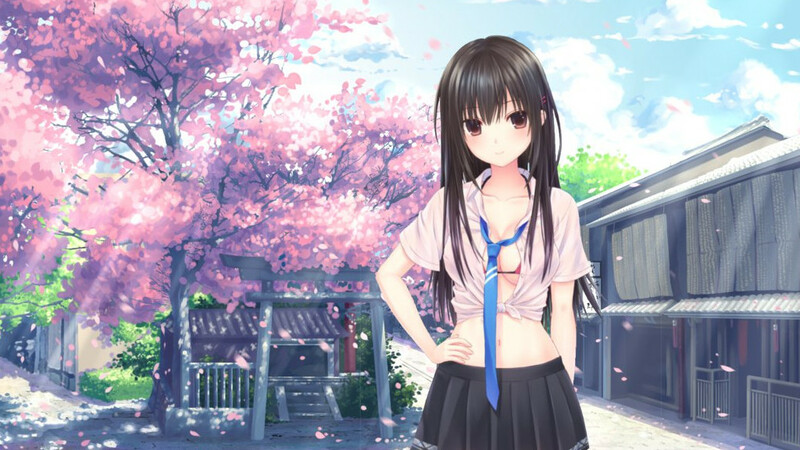 Chances are you have learned a few ‘spring’ words watching anime or even visiting Japan. It is a season filled with blossoms and beauty a nice rest after the wintery season that was filled with wind and snow. It is also the season when Golden Week is celebrated, a series of holidays that attract lots of tourists locally and abroad to key destinations. Let’s look at five popular spring words. The best way to know it is spring in Japan is when the beautiful Sakura (cherry Blossom) Trees are in bloom. It is, many believe, the most celebrated blossom in Japan. Imagine a park filled with trees that only have pinkish blossoms blooming on them. A soft breeze plays through the trees and the blossoms fall softly to the ground, covering the grass in a carpet of shades of cherry colours. Some say it is the time when the gods come and visit Japan. After winter many people may sigh with relief and say:”Atatakai, ne?” which means “It is warm, isn’t it?” Atatakai means warm and is a word that may pop up in spring as people vocalize their happiness that it is warmer at last. The word can be used to express warm weather or temperature or is used for warm objects. Kyō wa atatakai desu ne. – Today is warm, huh? Kono sūpu wa atatakai desu. – This soup is warm. The Japanese have a beautiful tradition associated with Sakura trees called Hanami, loosely translated as ‘Flower Viewing’. It is then when they hold parties under these trees when they bloom in early spring. These parties are very popular in Japan and the entire country participates in it. These viewings are held from the end of March to early May. So popular these parties are in fact, that people reserve spots under the Sakura trees with blue plastic mats! They reserve these spots as much as 12 hours in advance. These mats are treated like floors in a house thus no shoes are allowed on them and removed before sitting down on the mats. There is even a sakura-zensen (cherry blossom front), a blossom forecast held by the weather bureau and is watched by all planning to celebrate Hanami. And there is also yozakura (night sakura) when people view these Sakura blossoms at night. In places like Ueno Park temporary paper lanterns are hung at night for this purpose. Some believe this beautiful tradition started during the Nara Period (710-794) and it was a viewing of Ume (plum) blossoms at first, but at the Heian Period (794 – 1185) Sakura blossoms became the focus of Hanami. This is a beautiful tradition and a day with blooms under blue skies might just be what we all need. When the Sakuras are in bloom, and you observe Hanami, the best place to go is the local “kouen”. Kouen means park. Parks in Japan tends to be much safer and cleaner than parks in other countries, thus much more magical and romantic. They are the perfect places to hang out with friends and just to lie on your back and watch sakura blossoms dance in the breeze. The most important word for today is Haru. Haru means ‘spring’ in Japanese. Now, armed with these five words, if you visit Japan in spring, you will find them a lot as you listen to the people around you. Somebody may say ”Atatakai, ne?” to another with a smile and you will know her or she is enjoying the heat offspring. Or someone may use “Hanami” and “kouen” in a sentence and you will know that they are planning a bit of Sakura blossom viewing in the park. 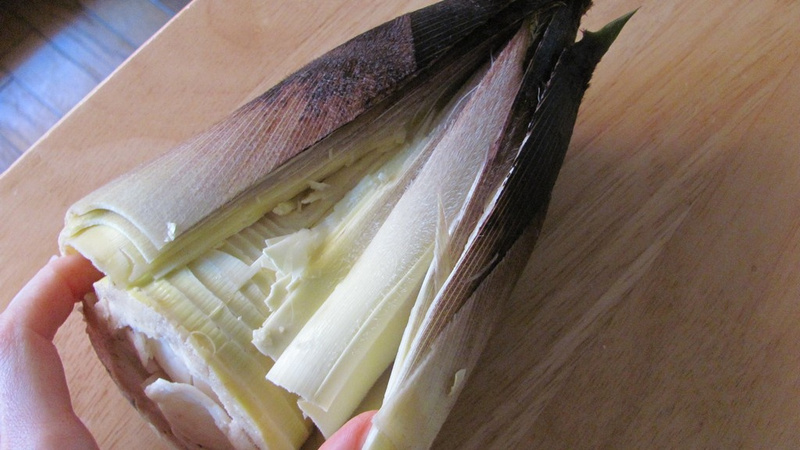 Even if bamboo shoots (Takenoko) are eaten all throughout the year, it is especially popular as a main or sub ingredient for Japanese spring dishes. These shoots are harvested from the giant timber Bambusa oldhamii trees in spring or early summer. The young shoots especially are well sought after due to their sweet taste and crisp texture. Older shoots have a more acrid flavour and should be sliced thin and boiled in a huge amount of water several times. The bamboo is then edible after boiling. Many love to pickle bamboo made from the young shoots. In this month’s bento, we share a nice recipe video of Spring Takikomi Gohan, a mixed Japanese Rice recipe perfect for the spring season with bamboo shoots, clams and peas as ingredients. This dish is traditionally a spring dish, but can be enjoyed any time of the year. Enjoy the video. Itadakimasu! 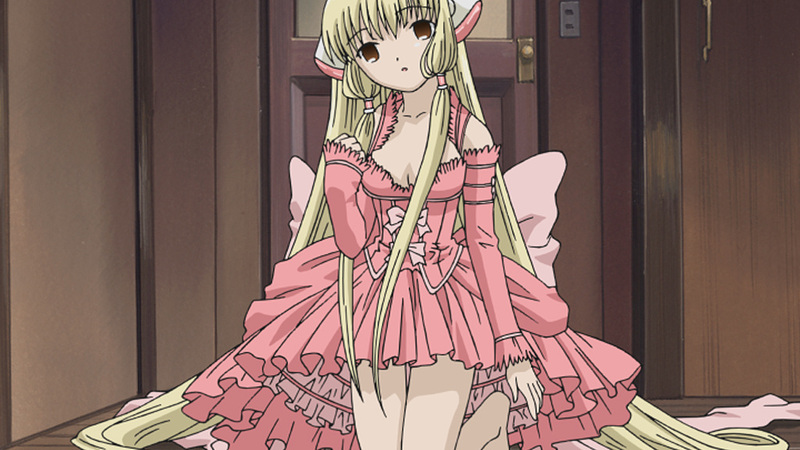 The 13th of April is the birthday of Chii, the female main character from CLAMP’s anime and manga series, Chobits. She is a persocom, a type of robotic personal computer. Chi looks like a beautiful young girl with long blonde hair and brown eyes. She is slender with a smooth pale skin and has pink and white triangle-shaped ears. With her innocent and child-like personality, she easily creeps into everyone’s hearts. As she is child-like, she can only do things that she is taught. She has a deep devotion to Hideki, who one day found her discarded in the rain on top of a trash heap while coming from a konbini (convenient store). She always tries to keep him happy and buys him things and cooks for him. At first, the only word she could say was ‘chii’, as such not knowing what to name her, Hideki named her Chii. Like most of anime and manga house CLAMP’s projects, Chii crosses over into some of their other projects. In Tsubasa: Reservoir Chronicle there are a few different versions of her in a few different episodes (In Tsubasa: Reservoir Chronicle the heroes travel to alternate worlds). Chi’s character is also cosplayed in the anime version of Hanaukyo Maid Team: La Verite when Mariel cosplays as Chii. Chii is a magical and wonderful character and well worth meeting. We suggest you look her up in Chobits first as the whole anime tells her story. She shares her birth month with Kurapika from Hunter x Hunter, whose birthday is on the 4th of April and Michelle K. Davis from Terraformars, whose birthday is on April 19th. Last month’s challenge was the action-packed anime Canaan and we thank all the readers that joined in and enjoyed the challenge with us. This month’s anime challenge is an epic fantasy anime, an anime that no-one could stop talking about when it came out in 2015 – Dungeon ni Deai wo Motomeru no wa Machigatteiru no Darou ka (lovingly shortened as DanMachi by the anime’s fanbase). 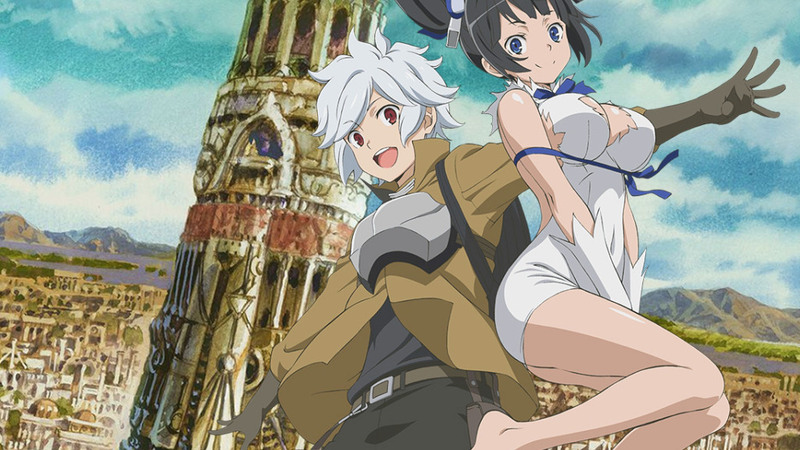 Dungeon ni Deai wo Motomeru no wa Machigatteiru no Darou ka (Is It Wrong to Try to Pick Up Girls in a Dungeon?) plays off in the city of Orario. In Orario there is the Dungeon – a place inhabited by an assortment of monsters, ranging from goblins to dragons. Adventurers visit the dungeon to take on these monsters, defeat them and harvest their crystal shards, which in turn are used to create magical items or to be exchanged for currency. These adventurers all join groups which are called Familia. The Familia each has its own function, some focus on dungeon crawling while some focus on crafting items. Each of these Familia is named after and serves a resident deity. Saying goodbye to a long-running anime is hard; even if we are sure it will return again. As reported in this bento, Dragon Ball Super ended on it 131st episode, and we decided to send it off, AnimeFanatika-style with a smoking sugoi AMV. The song is ‘I want’ to live by the American Christian rock band, Skillet. Skillet formed in Memphis, Tennessee and already released ten albums, of which two received Grammy nominations. They are heavily liked by Dragon Ball fanatiks as there are scores of Dragon Ball AMV’s featuring their music. Enjoy the AMV! Anime Meetup: Spring ho let’s go! On 21st April, 2018, there is an Anime Day event at Cool Runnings, Centurion. 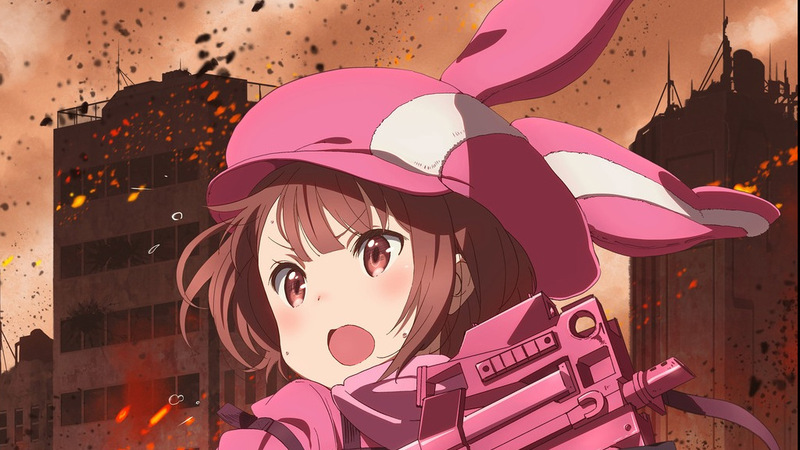 The anime day will showcase the seasonal openers of the New spring Anime series. We also have a super sugoi new projector to make the viewing experience more epic! Entrance will be free and why not bring a friend to enjoy the anime viewing?! Be sure to visit the meetup group or our FB Event Page for more detail.